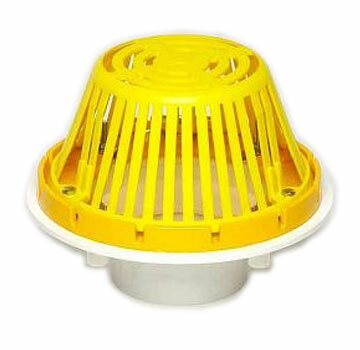 PRODUCT: 3 Inch Outlet PVC Roof Drain With Cast Aluminum Dome. Portals Plus #61041. Price/Each. (shipping leadtime 1-3 business days). Stainless steel hose clamps for the EPDM connector.